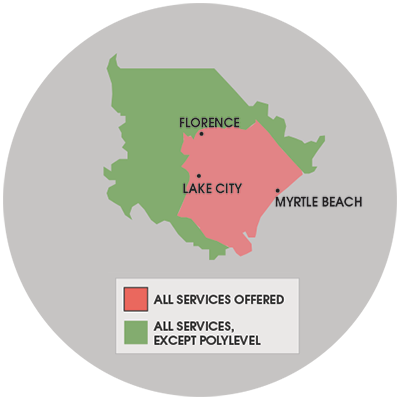 For a free humidity control quote in Myrtle Beach, Florence, Sumter, or nearby in South and North Carolina, call or e-mail us today! At Best Home & Property Services we recommend starting by sealing off any vents, covering any exposed dirt and concrete, and installing airtight crawl space doors. Replacing drafty basement windows will also help hold back outside air. We offer free basement & crawl space humidity control estimates in South and North Carolina, including Myrtle Beach, Sumter, Florence and many areas nearby. Contact us today to get started!